KEY FEATURES: A tough angular-branching fern. 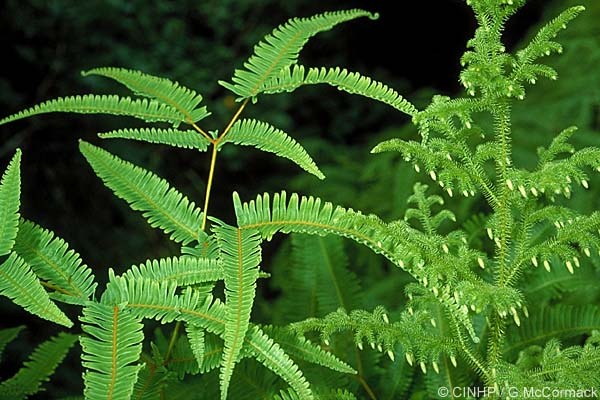 The Fernlands consist almost entirely of a single species, Tuanu‘e (Tangle Fern). It is a wiry, hard-stemmed fern which has a spreading, entangling top with small ladder-like “leaflets” (pinnules). 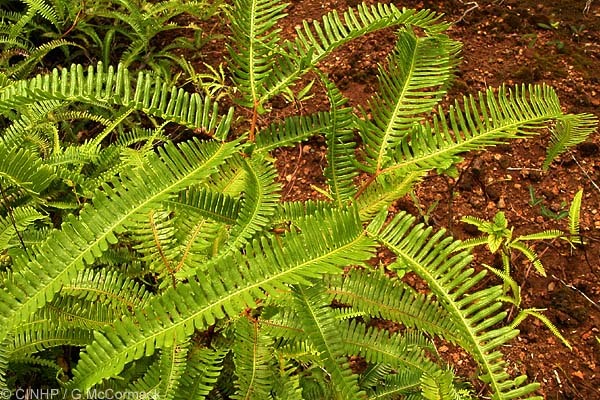 Although Tuanu‘e is an indigenous fern, the extensive nature of the Fernlands is probably related to the removal of the native forests in ancient times.